CHICAGO, ILLINOIS. 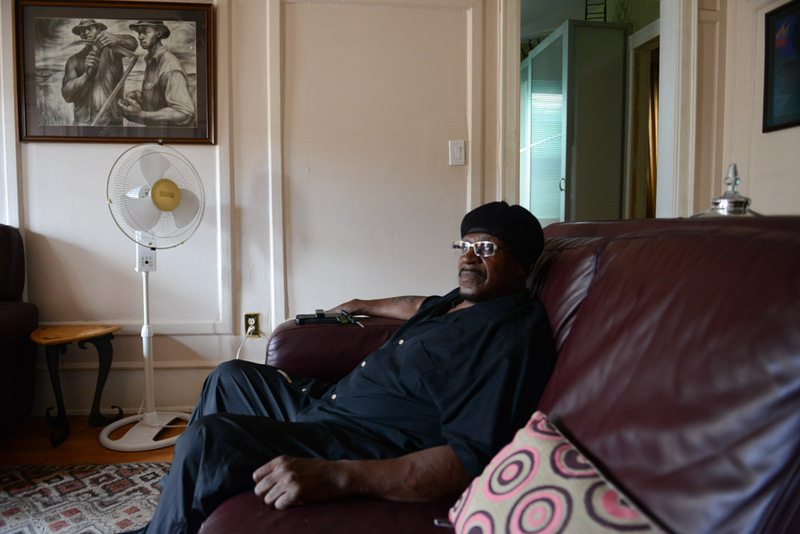 Anthony Holmes, a former Gangster Disciples leader and the first known victim of electrotorture carried out by former Chicago Police Commander Jon Burge after he returned from Vietnam and joined the Chicago Police force, in the living room of a cousin in the Bronzeville neighborhood on the South Side on July 18, 2016. Holmes was severely electrotortured in 1973 until he confessed to a murder he says he did not commit; released from jail 30 years later long after statute of limitations expired, he works now as a newspaper delivery man.